Renee Dennis is the passionate owner of Wheelies Wicks. Her candle business started when she met Bobby Mitchell, a My Supports Employment Officer, in July 2017. Bobby suggested Renee might like to try candle making and set up a micro business. Excited by the idea, Renee attended a candle making workshop at My Supports, and everything fell into place. The discussions that followed the workshop resulted in a candle making business partnership between Renee and Bobby. They agreed to share costs for the micro business, and worked towards selling candles at the York Fair in September 2017 for their first sales event. The dynamic duo had a lot of planning and organising to prepare all the candles in time. Together, they set up a room for candle making in Renee’s home and purchased a candle making kit so they could kick start the business. They also bought glassware, scented oils, wrapping paper, ribbons and material for price tags. Some donations of glassware were also received to help reduce the initial costs of establishing the business. In addition to Bobby’s help, support workers from My Supports assisted in candle making to build up stock. The pair established a pricelist and setup the Wheelie’s Wicks Facebook page, and Renee quickly learnt how to respond to queries and comments. The York Fair took place on 2 September 2017. Renee was assisted by a support worker who helped make candles, prepare price tags, package candles, provide transport and help to setup her stall on the day. What a wonderful day for Wheelie Wicks! 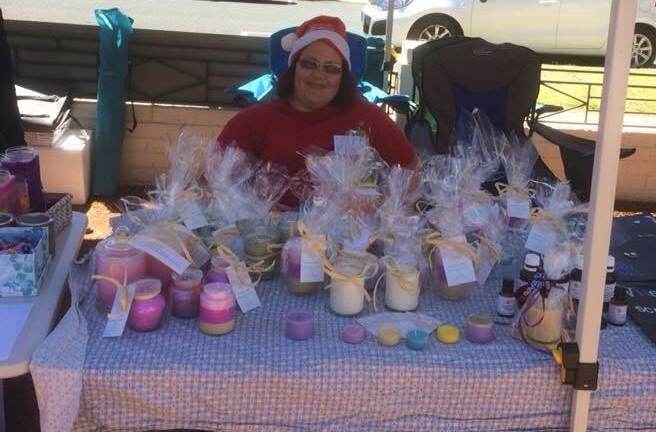 On 1 December 2017, Renee had a stall selling candles at the annual My Supports Market Day. Once again, Renee was helped by support workers to ensure she had enough stock to sell, packaging, transport and setup. Since then, Renee’s business has been expanding — she is getting a lot of new customers through word of mouth. 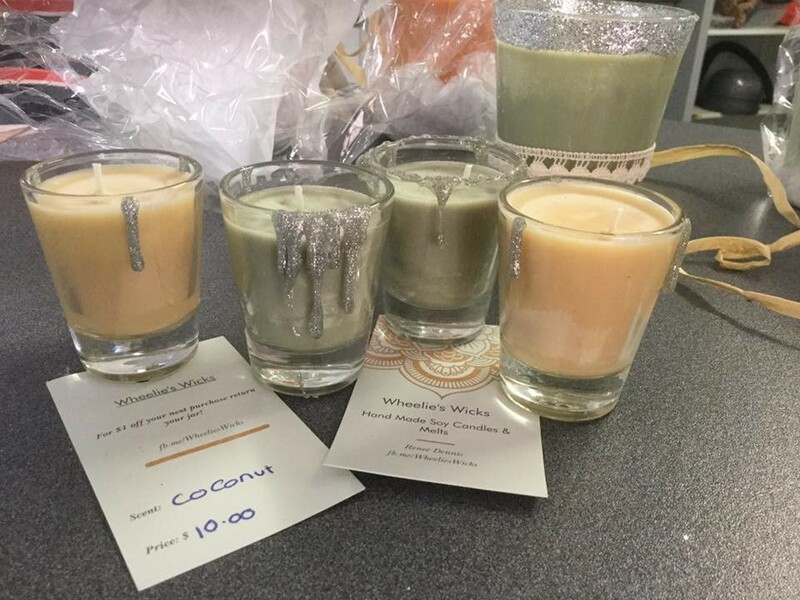 Renee has expressed that she very much enjoys the candle making business and wants to continue to sell at various markets. She loves spending time in her workshop trying out new designs, scents, and packaging. Renee and her team are very proud of her success. She has a strong sense of achievement and received a huge confidence boost through her hard work. Colleen off to the Transplant Games!